Do you suffer from Anxiety/Depression? Trying to Stop Smoking or Lose Weight? Do you have a stress-related illness? Such as Hypertension? Or IBS? 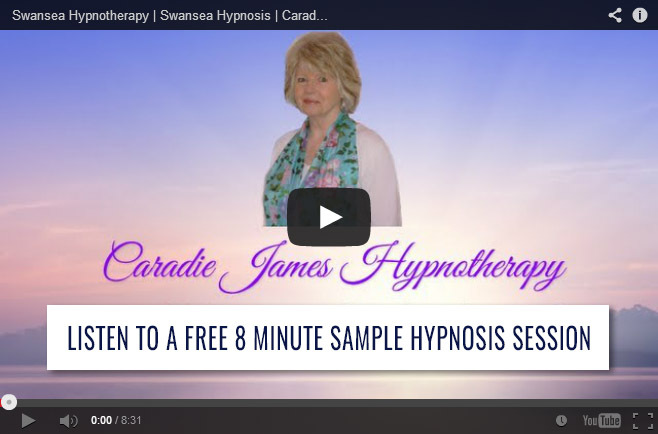 Try Hypnotherapy or Counselling with Caradie James. She specialises in mental health issues such as anxiety/depression, Bipolar disorder, panic attacks and low self-esteem. She is also an expert at helping people to remove the blocks that can prevent them from forming loving relationships or developing their true potential. Whatever your issue Caradie can help you to resolve it. Call Caradie for a free telephone consultation on 07918955637 or 01792 883986. HYPNOSIS DOWNLOADS – SPECIAL OFFER! "I developed anxiety/depression a few months after I lost my wife. A colleague at work had been to Caradie for fertility treatment and suggested I give it a go. I have to be honest and say I was more than a little skeptical and only went because I felt completely desperate at the time. But goodness, what a difference it made. I'm now a happier, calmer person and no longer in need of medication. An excellent treatment." "I've had confidence issues for many years due to an overly critical father. I decided to see Caradie when I was on the verge of being made redundant from my job. I still can't believe the difference it made. After a few sessions I felt like a new person. It seemed like a weight had been lifted from my shoulders. I'm better at my job, can even do a little bit of public speaking and am more outgoing in general. Many thanks Caradie." "I saw Caradie when my daughter, Chloe, was seven weeks old. I was in a terrible state with postnatal depression and my mum had to look after her. It was the worst time of my life. I didn't want hypnotherapy but my friend said give it a try. Fair dos Caradie was brilliant. After four or five sessions I was looking after Chloe and feeling better. After a few more sessions I felt really good and have never looked back." Hypnosis: It's all in the mind. New research from America has also found that more than half the people who used hypnotherapy to give up smoking were able to kick the habit, while researchers in France have successfully used the therapy to lower blood pressure. Professor Peter Whorwell, a gastroenterologist who heads the only NHS-funded hypnotherapy centre in Britain, "I would say hypnosis is potentially the most powerful. It is becoming a treatment of choice for IBS. Just how it works is not clear, and some critics suggest it's simply a way of relaxing. But practitioners say there's more to it, and that under hypnosis the patient can concentrate intensely on a specific thought, memory, feeling or sensation while blocking out any distractions. "The first thing you have to do is get past the myths and misconceptions about clinical hypnosis," says Dr Carol Ginandes who led a study into its use for anxiety at Harvard Medical School. In a study at the Scott and White Memorial Hospital in Texas, smokers were given eight sessions of therapy over two months, and told to quit smoking one week after beginning the course of treatment. Carbon-monoxide concentration tests were carried out on the patients to see whether they had smoked after treatment, and results showed that by the end of treatment 40 per cent had given up. At a follow-up 12 weeks later,60 per cent had quit.